'Jersey Shore: Family Vacation' to film Season 2 in Wildwood ... or not? 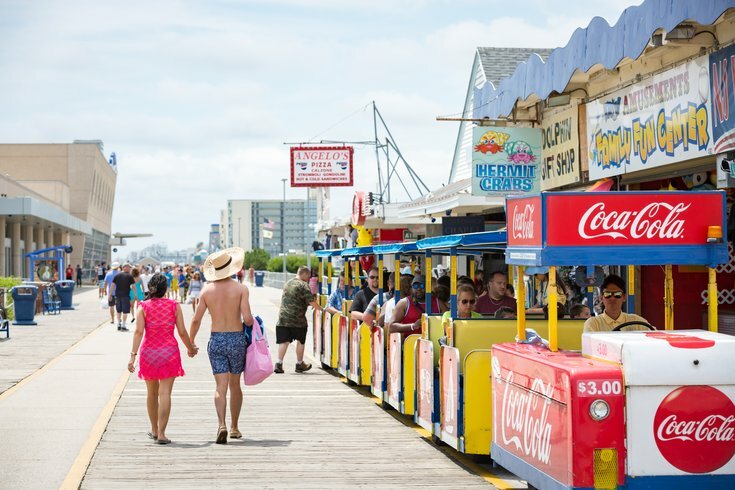 People stroll the boardwalk in Wildwood, making sure to "watch the tram car, please." Will there or won't there be a "Situation" in Wildwood later this summer? On Thursday, Us Weekly reported that entire cast of "Jersey Shore: Family Vacation" is moving in to a Wildwood house for the second season of the reboot show. The article said that the whole crew — that's Nicole “Snooki” Polizzi, Jenni “JWoww” Farley, Mike “The Situation” Sorrentino, DJ Pauly D, Vinny Guadagnino, Ronnie Ortiz-Magro and Deena Nicole Cortese for those not dedicated to watching the debauchery — would be in Wildwood on July 15 to start off the season and that filming began earlier this month. "That would be news to us," he told Wildwood 365 this evening, going on to confirm that 495 Productions was not issued permits to film in town. "We had some talks several months back, earlier in the year. But, they were not approved for a license to film here." Troiano added to CBS3 that he was "caught off guard" by the report. As Wildwood365 noted, the show could still theoretically film in private residences and businesses, but not in public spaces. The Greater Wildwoods Tourism Improvement and Development Authority issued a statement on Friday saying it was opposed to the show filming there. "Our resort destination is geared toward good, clean fun for families and multi-generational vacationers who enjoy our beaches, boardwalk and one-of-a-kind attractions," the statement read. The reported relocation to Wildwood comes after the 'Jersey Shore' franchise was no longer welcome back in Seaside Heights, where the reality show began. The North Jersey shore town is looking to be more of a family-friendly destination these days, and the reunion reboot didn't fit that new image. The state has actually never loved being associated with the show. Not even for the free press. Back in 2012 Governor Chris Christie called it "negative for New Jersey." A part of Season 2 was also filmed in Las Vegas, where there will apparently be some headlining drama between Ronnie Ortiz-Magro and his on-again, off-again, girlfriend and mother to his daughter, Jen Harley. Apparently the two got into a physical altercation at the hotel where the show was shooting. Harley was later arrested for dragging Ortiz-Magro with her car. Staff writer Daniel Craig contributed to this report.